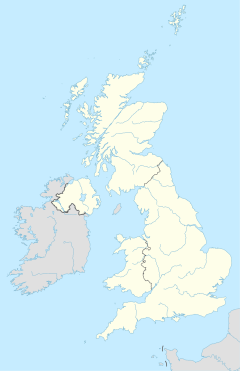 Macclesfield is a mercat toun athin the unitar authority o Cheshire East, an the coonty o Cheshire, Ingland. The population o the Macclesfield urban sub-aurie at the time o the 2011 census wis 51,739. A body frae Macclesfield is sometimes referred tae as a "Maxonian". Macclesfield, like mony ither auries in Cheshire, is considered tae be a relatively affluent toun. ↑ New Society, 9, New Society Limited, 1967, p. 933 "Maxonian" was originally coined to identify a group of alumni of King's School, Macclesfield at Oxford University as a portmanteau of Macclesfield and Oxonian, which was then applied to residents of the town in general. This page wis last eeditit on 20 Juin 2017, at 00:11.